Question: Are packaging decisions more complex than in the past? MM: It is more complex, which makes the packaging decision harder. It also puts a bigger responsibility on us to not steer customers down the wrong path. I always treat the package as important, because it’s the customer’s product that is in it. A package can wreck a presentation or show it off to be the best it can be. Question: What are some of your first steps in helping a manufacturer or processor choose the “right” package for their product? MM: So many people today want to do things very quickly over the phone or online. We sit down with customers. I like being there to have a chance to say, “Have you seen this?” or “Have you thought of that?” Often, we’ll even get in the car and go to supermarkets, where we can hear what they like and what they don’t like about a certain package in the meat case. It’s an eye opener, because everyone is engaged and it’s a good opportunity to get them to talk about what’s important to them and what they want to make the package look like. Because Reiser can provide a wide range of packaging solutions, we are very flexible. We try hard not to push one package style over the other, because it’s most important to listen to the customer. We can make samples of packages to help people choose what works for them. 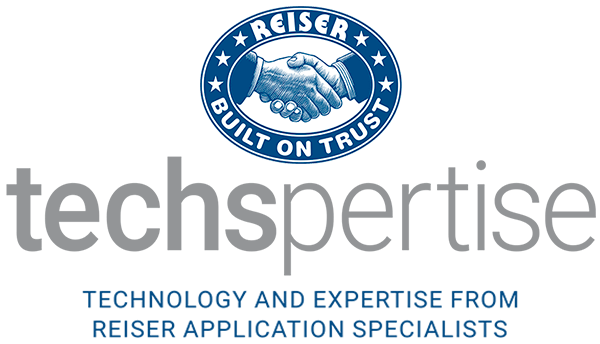 They may want to come into our Reiser Customer Center to look at their product in three different package styles, for example, and we’ll do that. We can also create package samples and ship them to the customer, wherever they need it. Question: As packaging choices have evolved, how has technology/equipment kept up with, and often ahead of, the changing marketplace? MM: We are constantly adding new innovations, and often for easy changeover. We want to make the machine a long-term asset, because processors need to be nimble and flexible. A company may be making a certain product today, but two years from now that product may be taboo and they will be making something totally different. Machine flexibility is critical. Sustainability is also increasingly important. The green movement is real, and we’re seeing strong comments from consumers about waste. So choice of materials is becoming more crucial to a lot of consumers and companies. Question: What are some other trends you see in the industry right now? MM: Plant-based products are coming on strong. We are working on a variety of products in that arena, including products for foodservice chains and packs that can be used at the store level. We can support that whole system from front to back. When it comes to protein alternatives, many companies have budgets to spend, but they need help – they don’t know these kinds of things, and that’s where our expertise and our Reiser Customer Center comes in. For plant-based products – as with any product – we focus on the product first. At the end of the day, if you ask the right questions, that results in the right package.